Smores Ice Cream Cups have all the flavors of the traditional s’mores you love, but in a small cupcake-size frozen treat. I had this idea to put my love of ice cream together with my love of marshmallows. 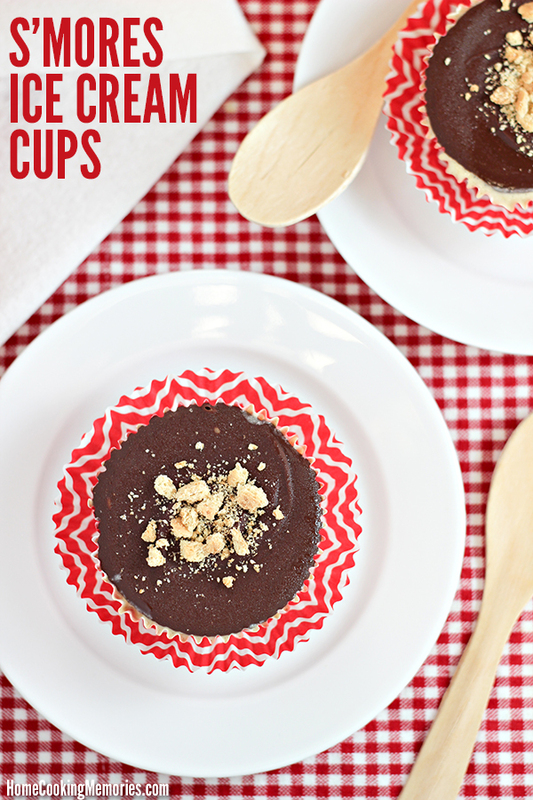 My idea was to make what I”m sharing with you today: Smores Ice Cream Cups. All the flavors of s’mores in a small cupcake-size frozen treat. But, this meant that I needed a marshmallow ice cream. I didn’t think it would be complicated. Surely there had to be a marshmallow flavored ice cream in the stores? But I went to a few different stores and I came up empty-handed. My solution was to make my own. BUT, I didn’t want to make it homemade, I wanted super easy. Two common grocery store items came to my rescue: a carton of vanilla ice cream + a bag of marshmallows. With these, I was able to make Easy Toasted Marshmallow Ice Cream and it’s AWESOME! You’ve seen the REAL® Seal before, right? It’s on lots of dairy products from ice cream to cheese and more. 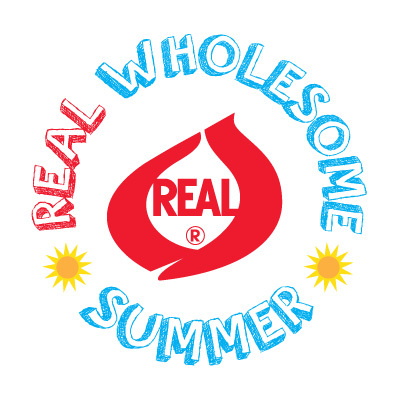 When you see the REAL® Seal on a product, it’s a sign that the product you are buying is a genuine dairy product, made with milk from cows on U.S. dairy farms. Companies have to register and meet specific guidelines to be able to display REAL® Seal on their packaging. You can learn more on the REAL® Seal website. When you are looking for the REAL® Seal on packaging, you might find it on the front, back, or side of the product. 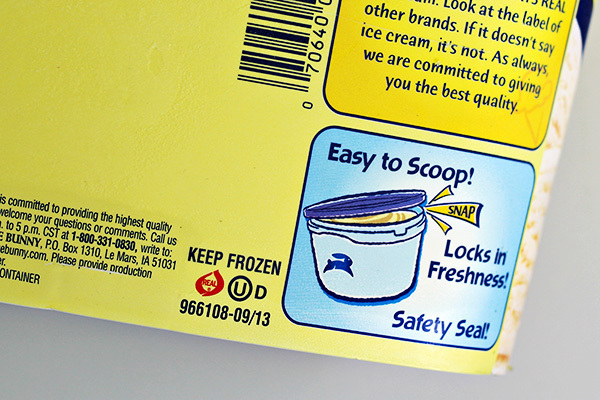 The ice cream I bought had the REAL® Seal right on the back. See it there? Once you have your vanilla ice cream with a REAL® Seal, you’ll toast the marshmallows in your oven and get started making your ice cream. After your Easy Toasted Marshmallow Ice Cream recipe is made, you’ll line a muffin tin with good quality cupcake liners. Avoid using thin cupcake liners – foil liners are the best, but good quality paper liners can be used as well (I used paper this time). 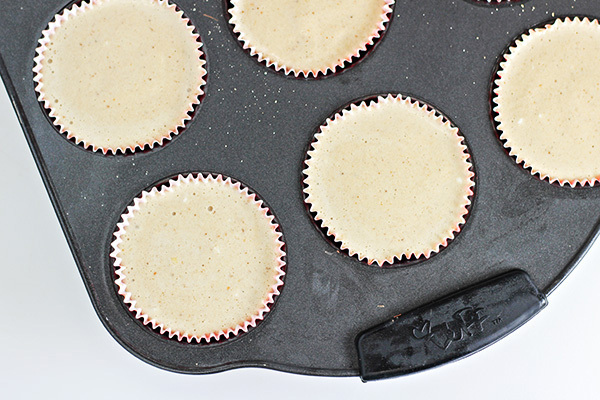 Sprinkle a bit of finely crushed graham cracker crumbs in the bottom of each cupcake liner. 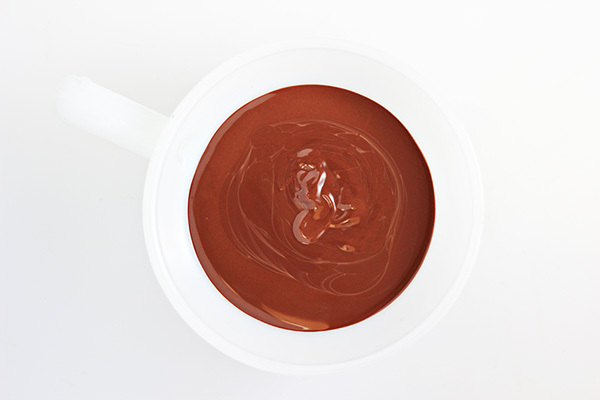 Then, melt chocolate and coconut oil and drizzle some chocolate in the bottom of each cup — just enough to coat the bottom. Place in refrigerator until the chocolate is firm. 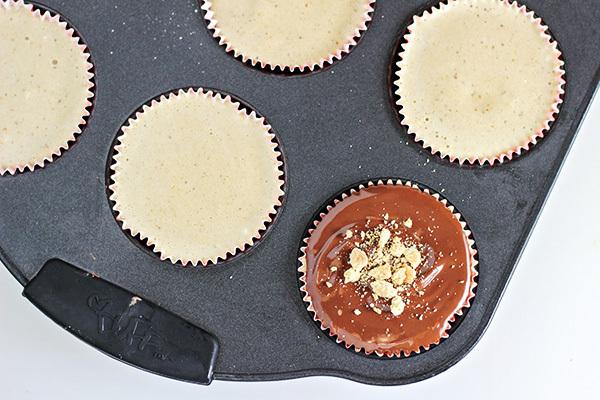 With the bottom layer of chocolate set and your ice cream thickened, you’re ready to fill each cupcake liner. Fill them nearly full with the toasted arshmallow ice cream and then place the pan in freezer until the ice cream is firm. Add a bit of the melted chocolate on top of the ice cream layer of one ice cream cup. If needed, spread the chocolate until it reaches the cupcake liner. Immediately after you top the ice cream with chocolate, sprinkle it with crushed graham crackers. Continue with the remaining ice cream cups. After all of your S’mores Ice Cream Cups are topped with chocolate and graham crackers, place the pan of treats back in the freezer without covering. After the chocolate is set and the ice cream is firm, cover the pan with foil. You could also remove the treats from the tray and place them in a freezer-safe food storage container. Your S’mores Ice Cream Cups are best served within a month…but seriously, how will they last that long? For serving, I recommend placing them on a small plate or in a small bowl, with or without the cupcake liner. I love the look of serving them with wood spoons, but that’s completely optional. If your Toasted Marshmallow Ice Cream is very firm, you may wish to set it out on your counter for about 10-15 minutes to soften it. Line 12 muffin tins with good quality paper cupcake liners or foil cupcake liners. 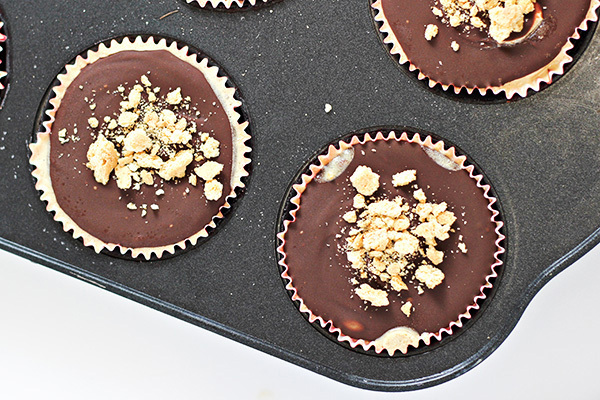 Sprinkle a bit of crushed graham crackers in the bottom of each cupcake liner. Melt chocolate chips and coconut oil in the microwave in a microwave-safe bowl on medium. Microwave for 30 seconds and stir. Continue microwaving at 15-30 second intervals, stirring after heating each time, until chocolate is melted and smooth. Spoon about 1 teaspoon of melted chocolate in the bottom of each cupcake liner, directly on top of crushed graham crackers. Spoon just enough chocolate to cover the bottom of each liner. Place pan in refrigerator until chocolate has set. 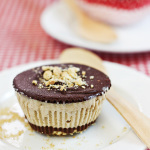 Fill each cupcake liner with softened marshmallow ice cream, nearly to top. 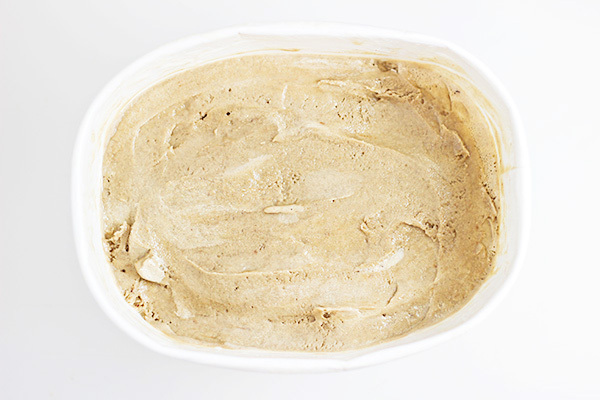 Smooth top of ice cream so that it is level. Set pan in freezer until ice cream is firm. Remove pan from freezer. Working quickly and with only 1 ice cream cup at a time, drizzle a tablespoon (or slightly more, if needed) of melted chocolate on top of the ice cream layer. 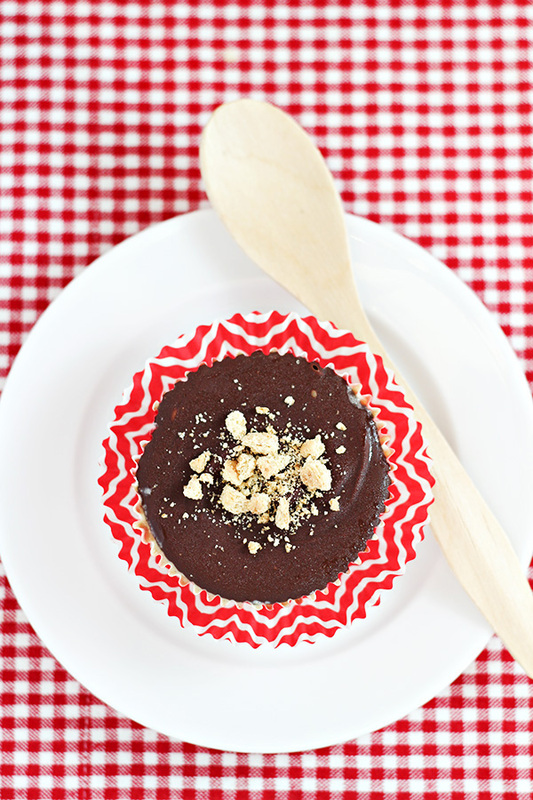 If needed, spread the chocolate outwards with the back of a spoon until the chocolate reaches the cupcake liner. Immediately sprinkle it with crushed graham crackers. Continue with the remaining ice cream cups. Return muffin tin to freezer, uncovered, to set chocolate and firm up the ice cream. When chocolate and ice cream are firm, cover pan with foil or move cups to a freezer-safe food storage container. S’mores Ice Cream Cups will keep for about 1 month in the freezer. The marshmallow ice cream you create for this recipe will make more than 12 S’mores Ice Cream Cups. You can either make a couple additional ice cream cups (you may need more chocolate), or enjoy as you wish. If you like this recipe, be sure to visit and like REAL® Seal on Facebook for real dairy recipes, tips, and more. And if you love Pinterest (like I do! 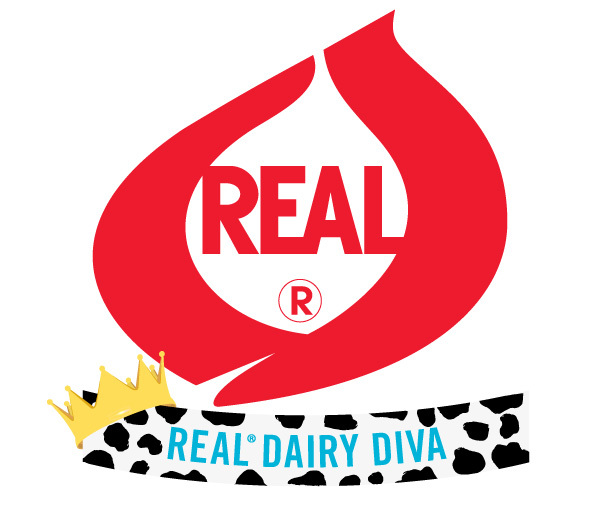 ), follow REAL® Seal on Pinterest for great recipe pins that feature real dairy products! 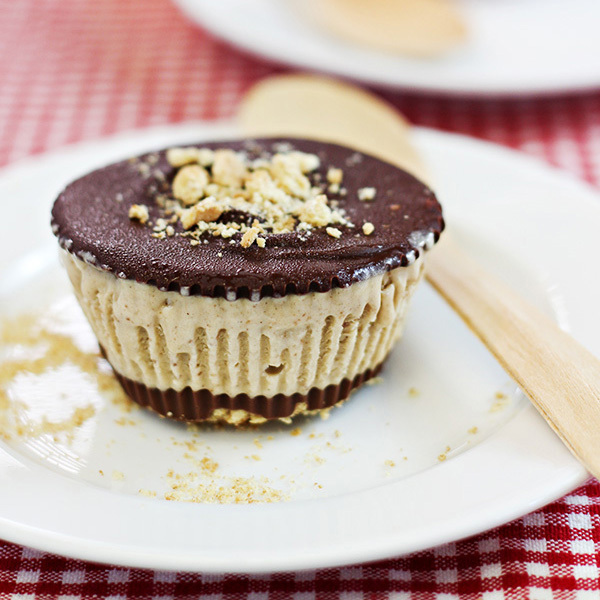 These smore ice cream cups look so good! Thanks for sharing! These are so fun! A great idea for any summer party! Such a fun way to jazz up store-bought ice cream. Well done! Wow! What a fun dessert! Who doesn’t love s’mores!? What a fun dessert and so perfect for summer! What a fabulous idea! Love these and my kids would have a blast participating in making them! Now THIS is a s’more I actually want to eat! Oh wow! My grandkids will love these. Can’t wait to make these for them! Pinned, too! What cute little cups of summer perfection! Everything about this is perfect – YUM! Oh, that toasted marshmallow ice cream sounds wonderful! This idea is just phenomenal and delicious! I love it! Thanks for sharing at the #HomeMattersParty. This looks soo…good! Yum, how decadent and sweet is this!!! 🙂 What a great idea!! These look incredible! I’m so adding this to my Pinterest board for later. I saw this on the Meatloaf and Melodrama link party. This looks so delicious!!! I’m going to have to give it a try. Thanks for sharing. This looks absolutely scrumptious. Pinned and thanks for sharing these little beauties. Visiting for Found & Foraged Linky Party.